La Clusaz is one of the Haute Savoie’s best kept secrets for anyone who wants to be far from crowds of skiers. Popular with the French and Swiss but generally overlooked by British skiers, the pretty village of La Clusaz retains its traditional character with its streets of wooden chalets, centred around the main square with a 200-year old church and weekly outdoor market. The nightlife is far from raucous but there is still a good selection of bars to choose from as well a decent choice of restaurants where you can sample the region’s famous Reblochon cheese. La Clusaz will make you want to return time and time again because of the charm and French authenticity of the traditional village which still manages to be a major ski resort in France. Everyone who visits La Clusaz is surprised at how much it has to offer and how easy it is to fall in love with. 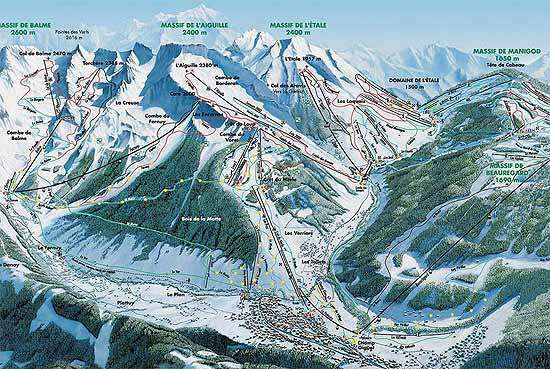 In total there are 84 pistes accessible by a superbly efficient network of ski lifts. The resort also boasts one of the greatest vertical drops with an altitude of 1500m. A shuttle bus also runs from La Clusaz to Le Grand Bornand resort giving you access to a total of 220km of slopes. La Clusaz often opens in from November to April for five full months of skiing and has some of the best snow conditions in France due to its excellent location. 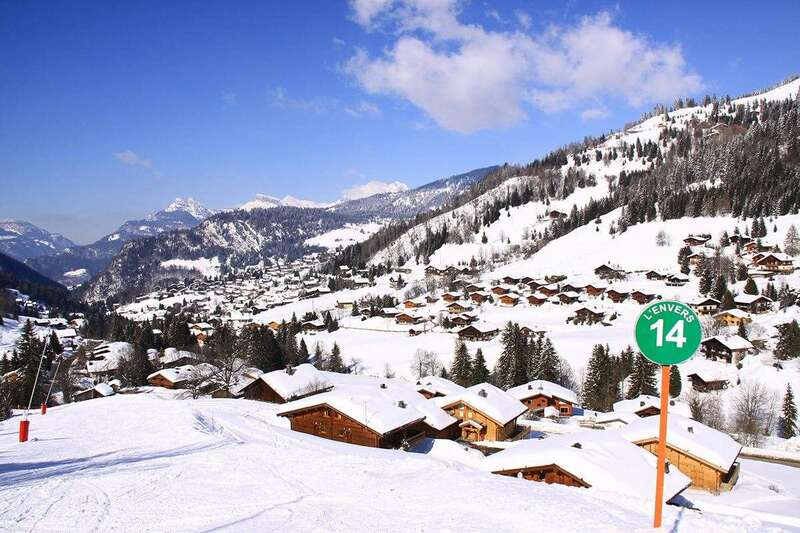 La Clusaz’s idyllic and unspoilt ski area spans five mountains, all linked by lifts and offering a multitude of options for experienced skiers and snowboarders. Beginners will find the nursery slopes on the edge of the village and there are a number of gentle green runs to progress to which run through the trees. At first glance the area does not appear to have much for experts other than a handful of black runs, but head for the off piste and discover why the area is so popular with freeskiers. There is also a snow park with options for all levels, and cross-country skiers have 86km of tracks to explore. After your day of skiing is over, La Clusaz is a lovely chilled place to relax in the evening. Although not renowned for its après ski, there are plenty of rustic mountain bars and restaurants in and around the quaint village. When it comes to food, there are plenty of sumptuous restaurants to visit offering everything from regional home cooking to delightful pizzas and great wine. Visit Chalet des Praz, built in 1792 and its traditional French authenticity or visit La Scierie for excellent food and wine. Geneva airport is the most popular airport route to La Clusaz which is 50km away and takes about 1.5 hours on a coach transfer. Alternatively Lyon is approximately 2.5 hours’ drive away. Very well run resort, 49 lifts and lots of long runs for all abilities. The village has plenty of restaurants, although booking is a good idea as it gets very busy at peak times. Beautiful location.